Pola is a bull-respecting festival celebrated by farmers mainly in the Indian state of Chhattisgarh and Maharashtra,Northern parts of Telangana as Polala Amavasya. 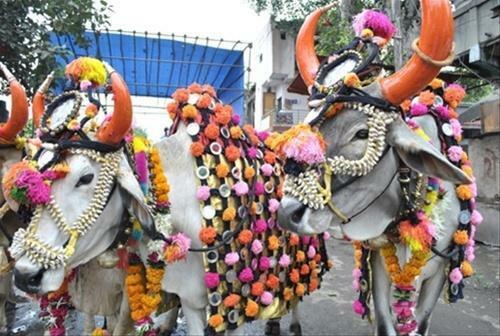 On the day of Pola, the farmers decorate and respect their bulls. Pola falls on the day of the Pithori Amavasya (the new moon day) in the month of Shravana.